A Truly Magical Treasury; A gift book collection of spellbinding tales retold by acclaimed children's author and anthologist Fiona Waters. Exquisitely illustrated in bewitchingly luminous colours by of Fabian Negrin. A wonderful book for sharing at bedtime or for older children to read themselves. Contains stories from different cultures all around the world, some well-known and loved by all and others featuring all-new surprises. Welcome to a magnificent treasury bursting with wonder and enchantment. 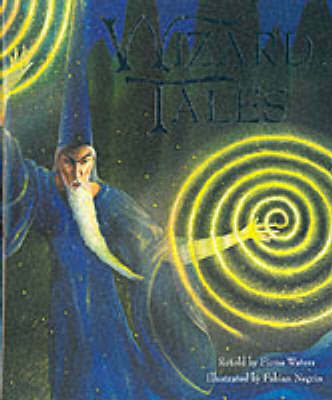 Rooted in the fairytale tradition and featuring witches, princesses, and magical powers, these are tales of wishes and curses, spells and sorcery. A Scottish warlock, a Native American shaman, a Transylvanian sorcerer and Merlin himself all feature in this feast of magical tales from many different cultures. Fiona Waters' retellings are warm and humorous, weaving a magic of their own in this refreshingly varied collection.